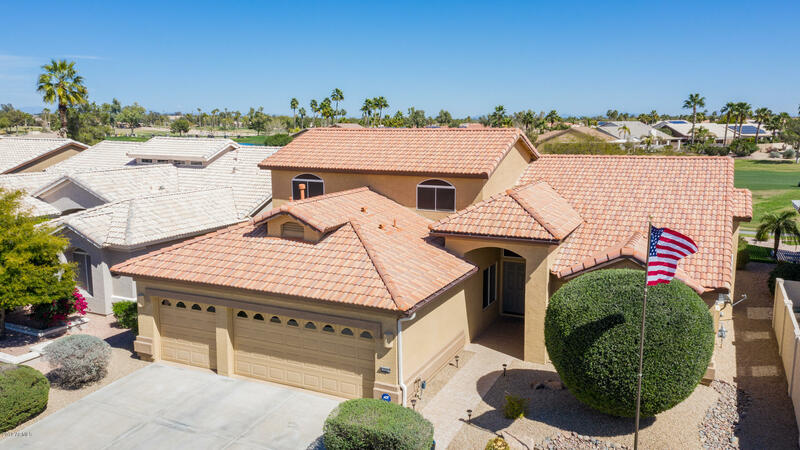 All PEBBLECREEK UNIT ONE LOT homes currently listed for sale in Goodyear as of 04/19/2019 are shown below. You can change the search criteria at any time by pressing the 'Change Search' button below. "From the moment you enter, this amazing golf-course home will take your breath away with more than $100,000 worth of upgrades and spectacular views of the Eagles Nest course, lake and mountains. Master bedroom down and one other bedroom down: could also be den or office.This home is located in a quiet and peaceful area, yet convenient to shopping and only a 3-minute walk to Eagles Nest clubhouse, a crown jewel of Pebble Creek. The restaurant, lounge, pool, tennis counts and other facilities offe"
"Don't let this Galleria slip away! Two new AC units in 2019! 3 car garage & one of the largest lots in PebbleCreek. Plenty of room for a casita, pool and/or built-in BBQ! New paint inside & out! Plantation shutters throughout. 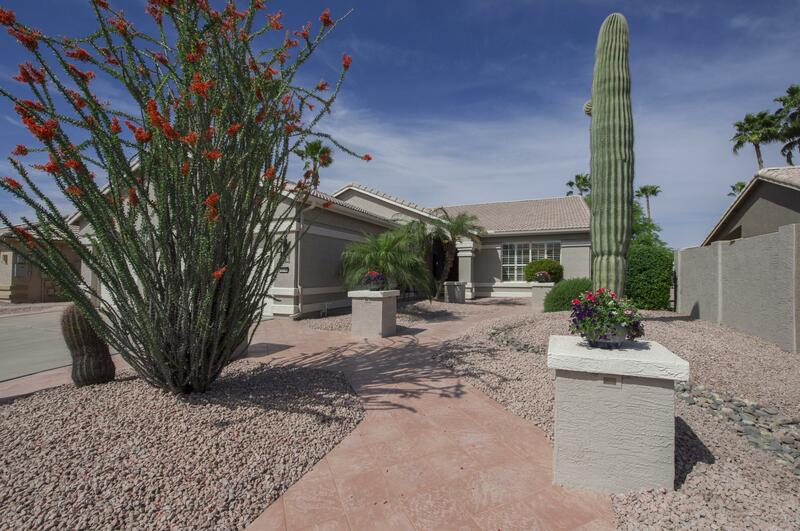 Kitchen has cultured granite sink & has been remodeled & reconfigured w/larger island w/full cabinets. All lower cabinets-pull out shelving. You'll love this kitchen with SS appliances & Thermador Professional gas oven/stove combo w/hood. New carpet-Master BR & Den (2019)"